Kansas City, MO, February 20, 2019 --(PR.com)-- The Kansas City Business Journal announced Custom Truck One Source as a winner of the 2019 KCBJ Capstone Award in honor of the company’s recent renovation of a 119,035 sq. ft. building that sits on the old Armco Steel plant. The renovated production facility now serves as a manufacturing and truck equipment production center and sits upon Custom Truck’s vast Kansas City headquarters. 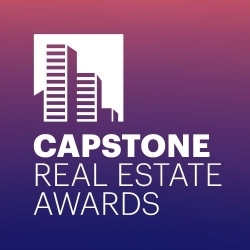 KCBJ’s Capstone Award recognizes outstanding real estate and development projects completed in the Kansas City metro area, as determined by a panel of independent judges. Custom Truck’s new production facility, which opened its doors in 2018 and added more than 100 new jobs, is one of three large-scale construction projects the company has renovated and added to their headquarters in the past 5 years. Custom Truck One Source’s revitalization of this historic area is credited for re-energizing a seldom talked about part of Kansas City through job and product creation. The company started on 17 acres and has grown to occupy 75, “delivering a jolt to efforts to revitalize the Blue Valley Industrial Corridor” according to a recent article in the Kansas City Business Journal. The company has invested about $40 million to renovate warehouses and build new offices for Custom Truck One Source. Founded by Fred Ross and his siblings in 1996, the builder and supplier of specialty trucks is on a trajectory for $1 billion in revenue in 2019, with operations in 26 locations. The Capstone reception celebrating the winning projects and the teams behind them will be held Tuesday, March 26, at the InterContinental Kansas City on the Country Club Plaza.